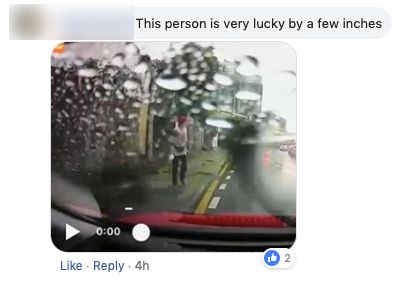 We're never surprised with what Malaysians can make a car do (especially Myvi drivers...) -- and this includes making a car FLY! Where it lands, that no one knows la... except for this case. 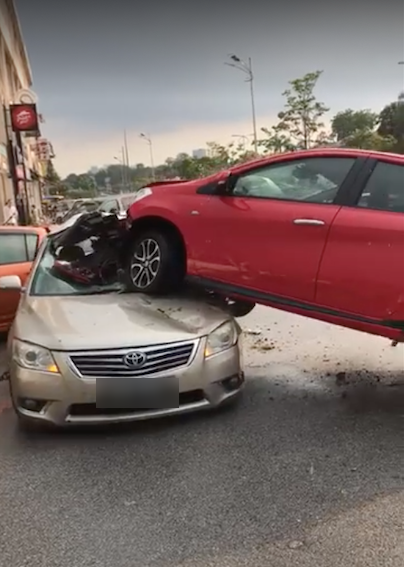 The Perodua Myvi flew across a T-junction outside of the GSC office near Atria Mall, and landed smack on top of a parked Toyota Camry! 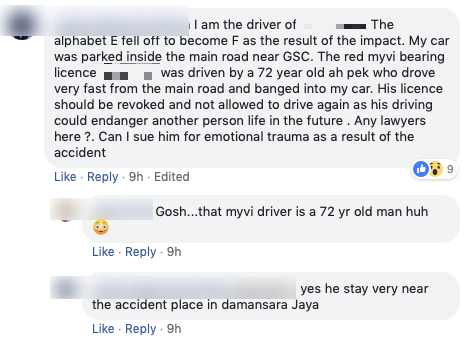 The first thing that came to my mind was how lucky was it that there was no one in the Camry, or else that'll be a whole new sh*t to this accident. The only thing we can say to Myvi drivers out there is...TURN OFF your Flight Mode when driving on wet roads ya... you don't wanna go flying too do you?